I think the point of the sign is to get drivers to come to a complete stop to read it. 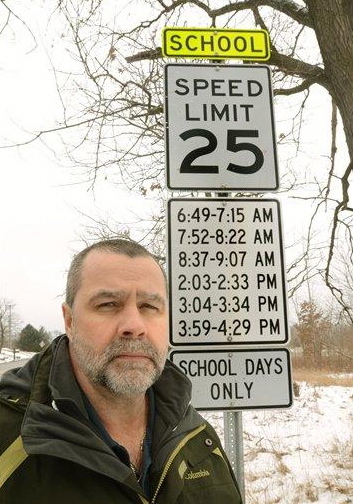 School zone speeding problem solved. "Your perfectly pristine papers, please"
"Irrefutable evidence" of Siberian yeti? "The Monsters Are Due on Westhampton View Court"